We went to Chatham today to look around and pick up a few things, which involved going into the hardware store. 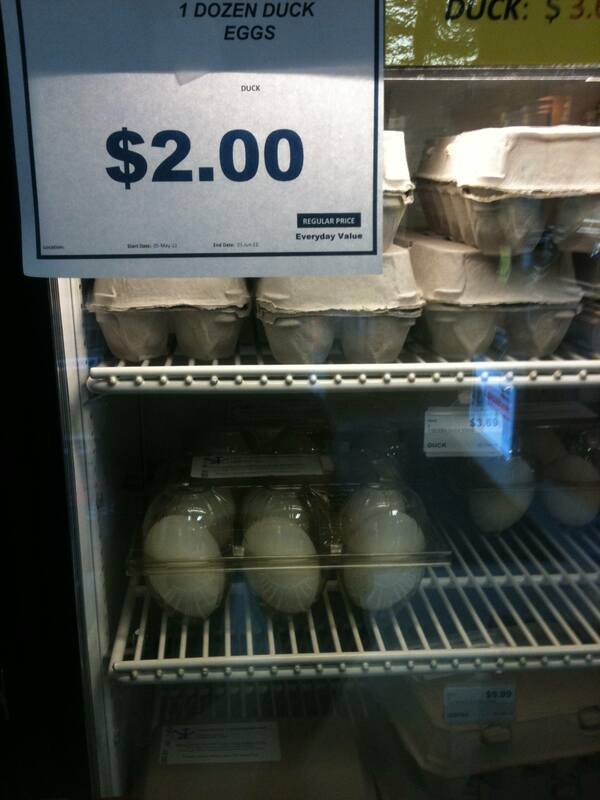 There just inside the door next to the cash register was a glass doored fridge selling a dozen duck eggs for $2. So guess what we are having for lunch? This entry was posted in Other Stuff, Travel and tagged Chatham, Duck Eggs. Bookmark the permalink.